Simple and elegant, this mirror can be placed everywhere, can be married with all kind of styles. 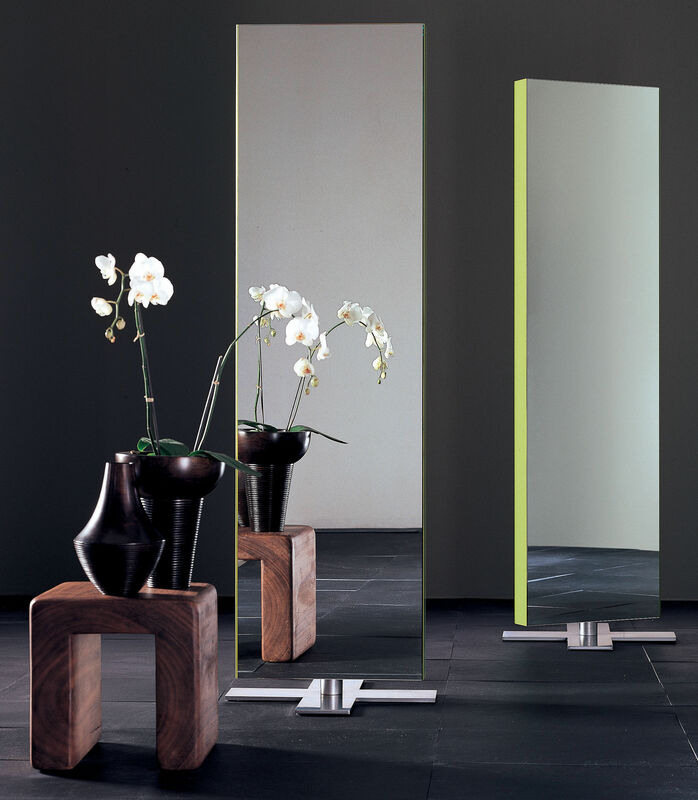 It is made with glued mirror plates with chamfered lacquered glass bands. It is revolving and double faced. 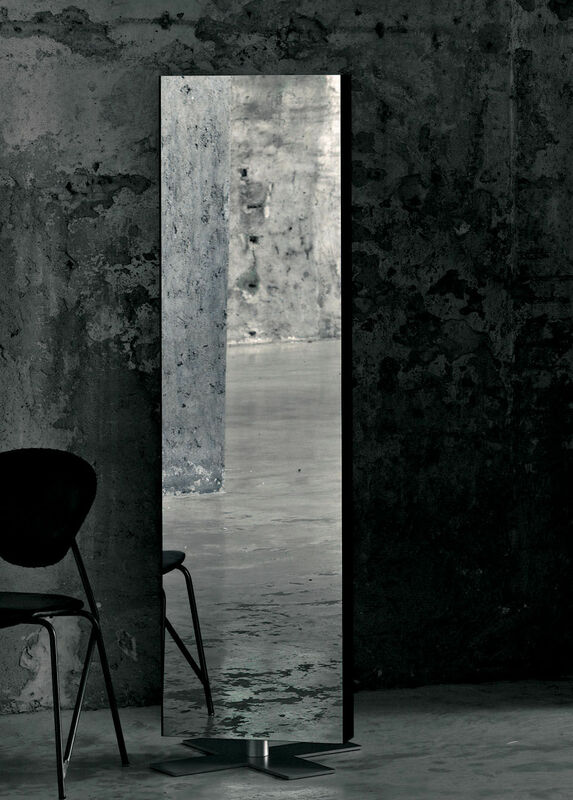 Exists in white or blanck and in a wall version.